Home | Business in Action | Agriculture | Sunderland Co-operative Inc. 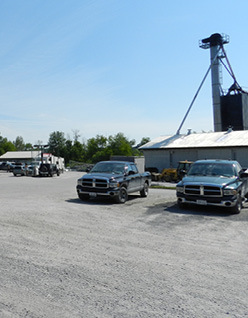 Formed in 1950 as a full service agricultural co-op, Sunderland Co-operative Inc. works to improve the profitability of its farmer-members in south-central Ontario by offering value added goods and services in the agricultural space, providing crop inputs, feed, petroleum, consumer goods as well as sundry products and grain marketing of selected grains within the geographic area in which the co-op does business. In July 1950, 25 farmers came together, raised an initial investment of $25,000 to purchase the assets of Peterborough Co-operative’s branch location in Sunderland, Ont., thus forming Sunderland Co-operative Inc.
Co-operatives count their successes beyond their profits by focusing on co-operative principles and values. Co-operatives are owned by their members, and through an elected board of directors the members have a say in how the business is run. Members purchase quality products and services at competitive prices and also own shares of the co-operative. In turn, they receive patronage refunds at the end of the year for those purchases. “Through this democratic approach to doing business, our members benefit two-fold, by having a voice in how the business is run and being able to share in the profits,” says Thompson. Sunderland Co-operative strives toward continued growth for its members. Currently the co-operative has expanded its Oakwood Ag Centre by installing a new grain storage bin with storage capacity of 346,000 bushels. “When we purchased the Oakwood facility in 1994, our total storage capacity was 375,000 bushels, so this new bin is almost the same size as our initial full capacity. Once installed, the storage capabilities of this facility will be over 1 million bushels,” says Thompson. Besides increasing storage capacity, the co-op also installed a state-of-the-art seed treatment facility which gives the co-op opportunity to pre-treat seeds for planting and trade this seed in bulk, making seed purchases more economical and efficient for its customers. Forming partnerships is another way in which Sunderland Co-operative has grown its success. In 2003, a joint venture with UPI Energy LP was formed and the Petroleum centre in Lindsay was created. This partnership allows the co-op to supply its members with more environmentally-friendly ethanol blended gasolines as well as bulk clear and dyed diesel fuels. In addition, heating fuels are a large part of Sunderland Co-operative’s full complement of liquid fuels. Just as a point of interest, the co-operative’s members’ equity is 56 per cent and the members generate 82 per cent of the total business. The remaining 18 per cent of business is generated from its non-member customer-base. 2011 total sales was more than $54 million, and patronage paid back to the co-operative’s members was over $430,000. Each year, funds are also allocated for improvements within the co-operative for the betterment of its members’ farming operations. The co-operative currently has 50 employees working either in management, sales, or operations. “There is no one thing to which we attribute our success, but our membership numbers continue to grow as well as our sales numbers,” says Thompson. “The one thing that stands the test of time is our commitment to a solid foundation and strong relationships with our members and non-member clients. This true sense of community strength has been built from more than 60 years of honesty, diligence and quality customer care. Co-operative principles and values are what make us stand out from the rest.” Sunderland Co-operative has shown true dedication toward these values by providing consistent generous donations to many local agriculture fairs as well as local hockey, baseball, and soccer clubs. Farm co-operatives are a tradition that goes back to the late 1800s in North America. 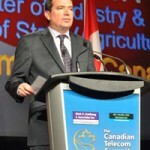 Sunderland Co-operative markets its products and services under the FS brand which is part of a larger network or system of agriculture co-operatives in Ontario and the Midwest United States known as the GROWMARK System. GROWMARK, Inc. serves Ontario and the American agriculture industry from the Rocky Mountains to the east coast, and has brought this business model to the cutting edge. Sunderland Co-operative is a member-owner of GROWMARK, Inc.